Berlin’s art and media flâneurs lounge in a new art space at Pfefferberg, Berlin. As in the past years, for eleven days artist curators from around the world present their selected programs. 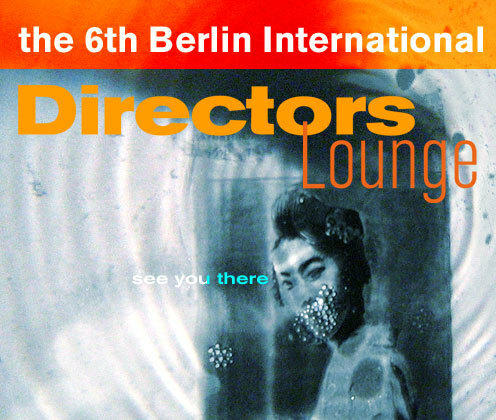 There is a multitude of highlights to be discovered, special programs, music programs, and of course, you will find a relaxed lounge ambience during the days of film vibes in Berlin. Here, you will meet filmmakers and artists in person. And without stressing for tickets, you will always find something special, apart from the ordinary or marvellous. It seems merely impossible to give a concise of the upcoming program, however certain stars on the Directors Lounge firmament become clearly visible. Coming up is a monographic programme of Jean-Gabriel Périot, the acknowledged French moralist and film essayist, who was with the festival from its start. Telemach Wiesinger and Andreas Gogol, among others, will present a 16mm film live-performance. There will be specially curated screenings from Russia, Argentina, Finland and Australia. Two themes seem to lure throughout the whole festival programs including the main selection: First, there is the gaze of the flâneur, the point of view of the stroller or the urban explorer, presented in the Urban Research program, and lingering in many other selections. Second, you will find connections between poetry, poetic film and music film, a theme taken up by such programs as the selections from Zebra Poetry Award and Literaturwerkstatt Berlin, the Festival de VideoPoesia from Argentina and the MUSEEK film program selected by Tour de Film from St. Petersburg. In any case, the daily screenings from 6pm through late night which will be announced just in time, as it has been a festival tradition will serve best eye- and ear candies for the spontaneous film flâneurs as much as for the connoisseurs of experimental delicatessen.